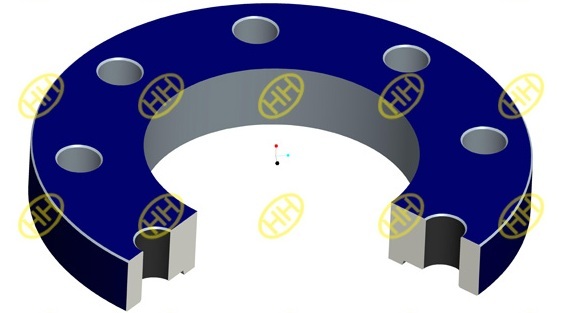 The plate flange slip over the pipe and the inner hole of plate flange is a little bigger than the pipe outer diameter.Plate flanges are secured to the pipe with a fillet weld at the bottom and the top of flanges with the pipes.The welding method is fillet weld,so the plate flange is not suitable for a high pressure application. 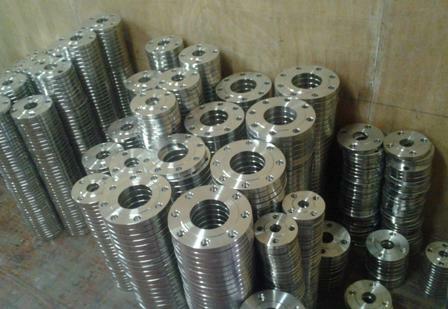 Though the plate flange means the flange is like a flat plate,it could be raised face(RF) sealing face,commonly the plate flange could be RF or FF face,the raised face plain flange is much popular in regular industry systems. 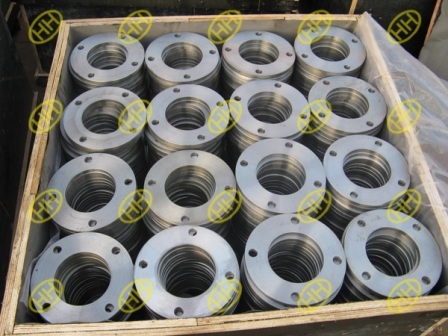 In ANSI/ASME B16.5 flange standard,there is no plate slip on flange,only hub slip on flange in it,but in different projects the ANSI B16.5 plate flange is used a lot for decrease the cost of the projects.The ANSI /ASME B16.5 plain flange should have the same dimensions and pcds with the slip on flange,the only difference is without a hub on the flange. 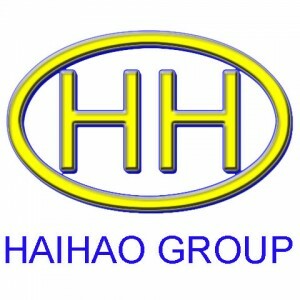 Hebei Haihao Flange Factory can produce the plain flange(plate flange) according to customer request.